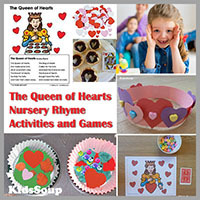 Valentine's Day activities, crafts, games, and printables for preschool and kindergarten. 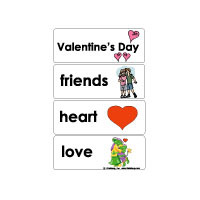 Every February on Valentine's Day, cards, candy, flowers, and gifts are exchanged between loved ones. 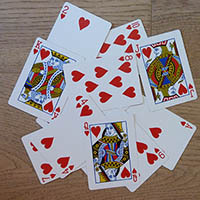 Did you know that almost 1 billion Valentine's Day cards are exchanged anually? People even give their pets cards! The word Valentine comes from Saint Valentine of Rome and Saint Valentine of Terni who were martyred on February 14th. They are both known for their compassionate and loving acts. This holiday has developed to represent love. 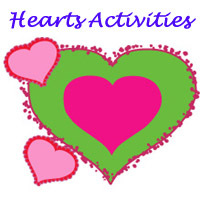 So, enjoy this holiday of love by sharing our fun Valentine's Day activities, crafts, games, and gift ideas with your children. 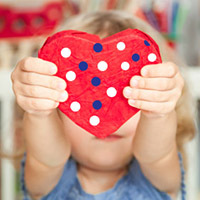 Enjoy this holiday of love by sharing these fun Valentine's Day activities, crafts, games, and gift ideas with your kids and each other. Have a Family Game Night Enjoy some quality family time and share some laughter over a game of Candyland. 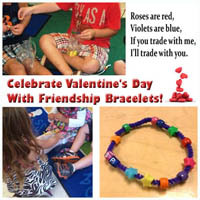 Gifts from the Heart Have children make homemade valentines to share with their classmates. 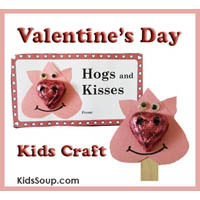 Buy some lollipops and let children make their own lollipop cards. 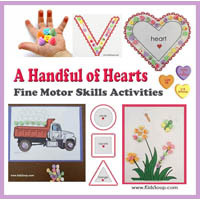 Be sure to remember special people to have your child make Valentines for, such as elderly neighbors. Two friends, Vito and Vicky, are writing each other Valentine's cards. 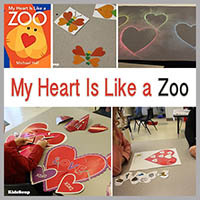 Listen to or read this cute online interactive story book that features the letter V.
Let children write Valentine's Cards to their friends. Use a muffin tin and add colored circles to the bottom of each tin. 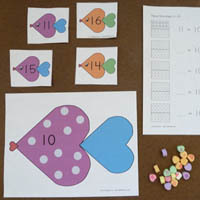 Have children sort the conversation hearts and fill into the correct colored tins. 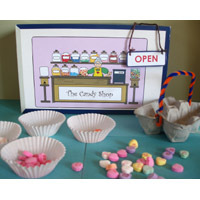 Let your child be the candy store keeper and you are the customer shopping for candy. Example: I would like to buy 3 pink candies and 2 green candies. Have children count them out and hand them to you. Add them up to see how many candies all together you bought. 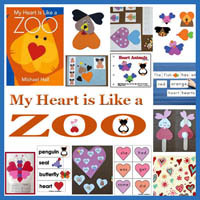 Cut out heart shapes from construction paper or buy craft foam hearts. Place a bed sheet in the middle of the circle and place all hearts on top of it. Have each child grab the bed sheet and together lift it off the floor. Slowly move the sheet up and down a little bit. When you say: "It's raining hearts!" Toss the sheet with the hearts up in the air so that the hearts fly off. Let children run to pick up the hearts off the floor. Have children count their hearts. 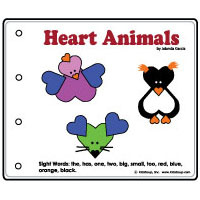 Who has the most hearts? Place heart shapes on the floor. 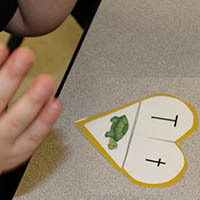 Children try to hit the heart-shaped targets using bean bags. 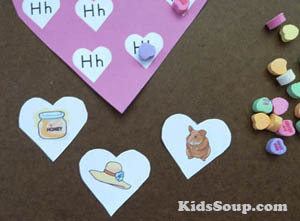 Make some thumbprint heart cookies. This is a great recipe for little ones to help with! Use a roll of readymade sugar cookie dough. Place cookies on an ungreased cookie sheet. 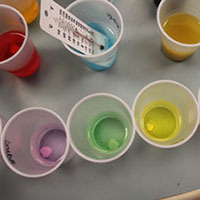 Dip thumb or index finger in egg mixture to generously coat with color. Press finger onto each cookie at an angle twice to make heart shape. Sprinkle with red sprinkles and bake. Make a small baggy with some cellophane and tie with a special ribbon and card. Share these tasty treats with your neighbors and friends. 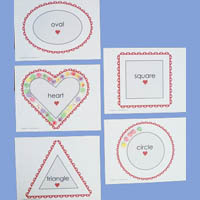 Write words associated with Valentine's Day: heart, love, hug, kiss, cupid, candy, valentine, friends, etc., on a board. Read the words together with children. 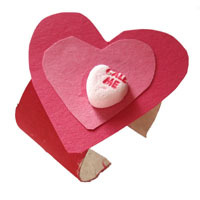 Let children write their Valentine words on their precut hearts and hang the hearts from the ceiling. 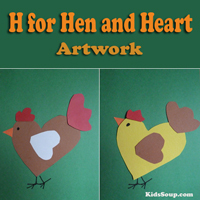 Have all your children trace their hands onto construction paper and cut them out. Add all hand cut-outs to a paper wreath that you have already cut out. The handprints should be glued together, overlapping, to represent how friends always lend a helping hand. Talk to children about acts of kindness and how they are a great way to show someone that they are special. Ask children to think of some acts of kindness they could do. Then, have students write their ideas on their handprints.